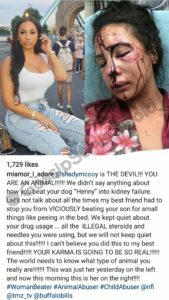 NFL player LeSean McCoy was blasted by his girlfriend’s best friend after she found his girlfriend’s face swollen, bruised and battered after an alleged fight with LeSean. LeSean’s past is checkered with abuse allegations involving women. On December 18, 2012, LeSean was sued for “assault and battery, intentional infliction of emotional distress, false imprisonment and negligence” of a woman, according to TMZ. LeSean reportedly invited 15 women to join him and his male friends on a party bus leaving Philadelphia, PA and heading to an NYC nightclub. One woman, who went by the alias “Mary Roe” in court documents, says the men then began spraying some of the women with water. “Mary Roe” protested being sprayed and claims LeSean told his bodyguard “Big John” to “get her”. 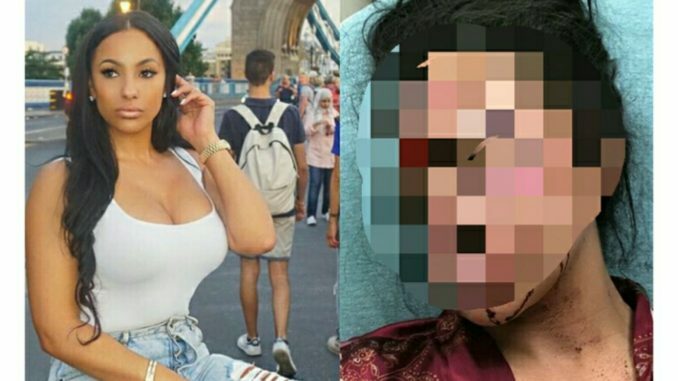 The woman was then hit in the face, and held down while the men poured beverages over her head and clothes. She was then kicked off the bus on the side of the New Jersey turnpike. The other women complained about leaving the woman soaking wet on the side of the road in the middle of December so LeSean allowed her back on the bus and dropped her off at a nearby rest stop. She later filed a $50,000 lawsuit claiming she suffered “head trauma, a disc protrusion on her spine, bad sprains, contusions and bruises all over her body, and severe shock”, according to TMZ. SEE HER TEXT MESSAGES HERE. On September 2014, the owner of a PYT burger joint in Philly claimed LeSean and 3 friends came into his restaurant and were “verbally abusive” towards the staff and made “derogatory comments about women” while dining. After ordering over $60 worth of food, LeSean reportedly left a $0.20 tip. The receipt was posted online and LeSean claimed he only tipped 20 cents because the service was bad. LeSean made headlines again in 2016 after a fight in a Philly lounge left 2 off-duty cops hospitalized. LeSean was reportedly seen on video footage throwing a punch during the brawl at Recess Lounge on February 7, 2016, but no charges were filed against LeSean as officers couldn’t determine who started the fight.